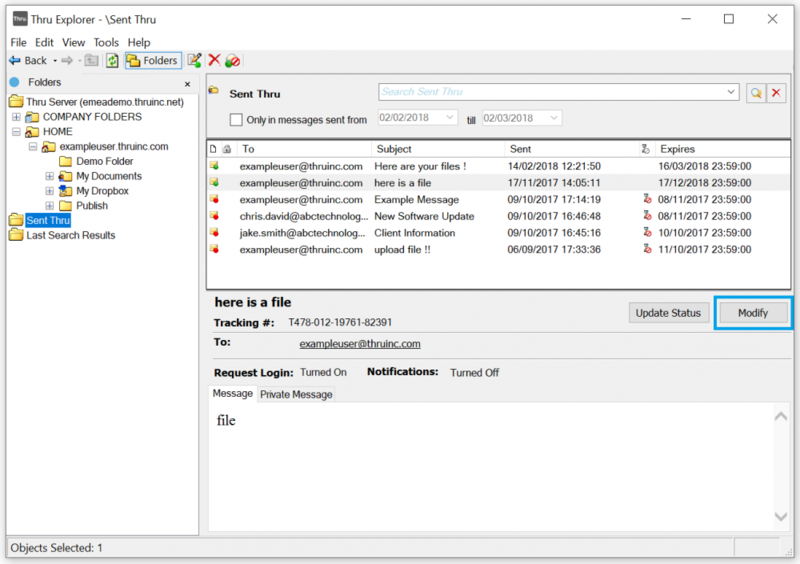 You can change the expiration date of a Thru email from the Sent Thru folder. Select the Thru email you wish to edit, and then click Modify. The Edit Thru message window opens. 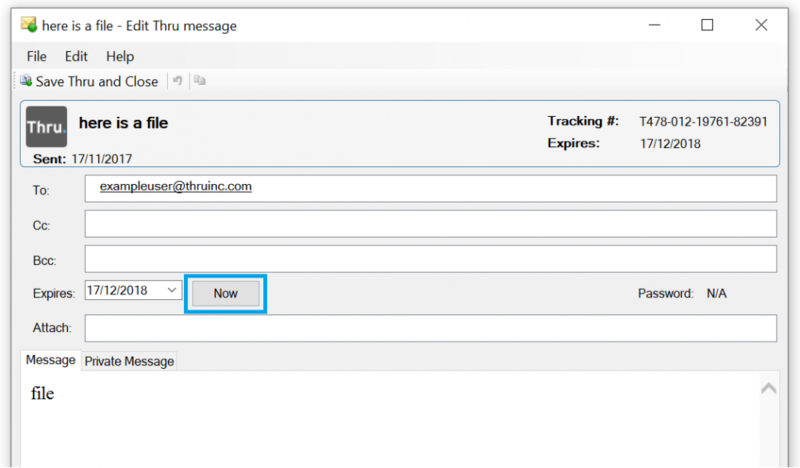 Click on the arrow to the right of the date and select the new date on which you wish the Thru Email to expire. Click Save Thru and Close to save the changes you have made. 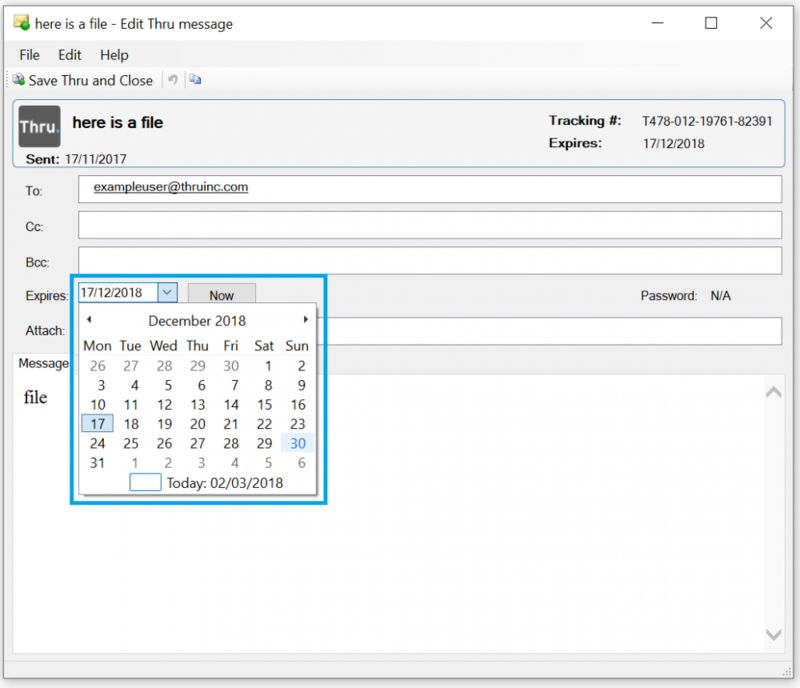 You can immediately expire a Thru email if you wish to prevent further downloads of the files you have sent or the private message you have written from the Sent Thru folder in Thru Explorer. Once you expire a Thru email, the Expire Now button will be grayed out and the envelope in front of the recipient email will have a red dot in it. The expiration date will also be changed to when you expired it.